Love is in the air, and these cards radiating with shimmer & shine are perfect for sending a little note to those you love! These cards feature gorgeous shimmery metallic papers by The Paper Cut with stamps & dies by Impression Obsession. 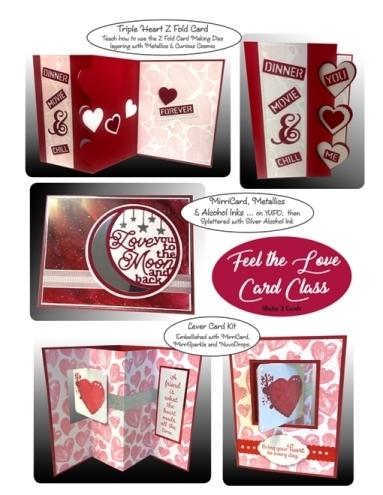 You’ll get to dabble with alcohol inks on one card, plus make two fancy fold cards, including: a Triple Heart Z-Fold Card, and a Lever Card, for a total of three love-ly cards. Most of the diecutting & stamping is done ahead for you, so YOU can relax, stamp, ink & PLAY in class! Samples arrive in the shoppe January 25th! 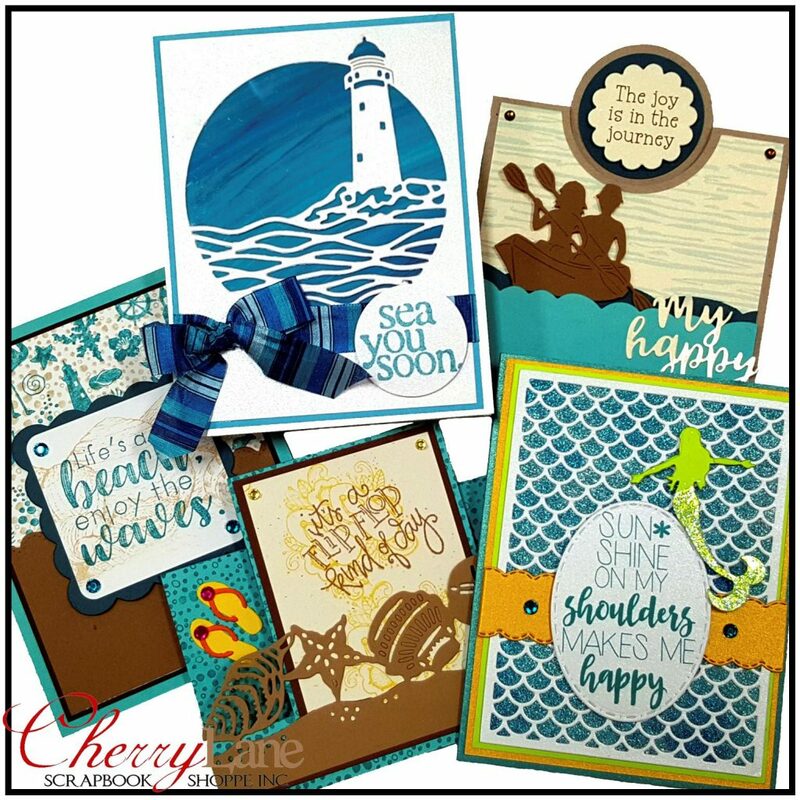 Come play and create FIVE beach themed cards full of shimmer, shine & interactive fun! These cards feature gorgeous shimmery metallic papers by The Paper Cut with stamps & dies by Impression Obsession. You’ll get to dabble with alcohol inks, make three fancy fold cards, including: a center step, a bib overlay & a twist ‘n pop; and create one more full of glittery goodness, for a total of five cards. Most of the diecutting & stamping is done ahead for you, so YOU can relax, stamp, ink & PLAY in class! We did a close-up video for you… click here to watch. You will go home with full colour photos & detailed instructions so you can recreate these cards again & again!